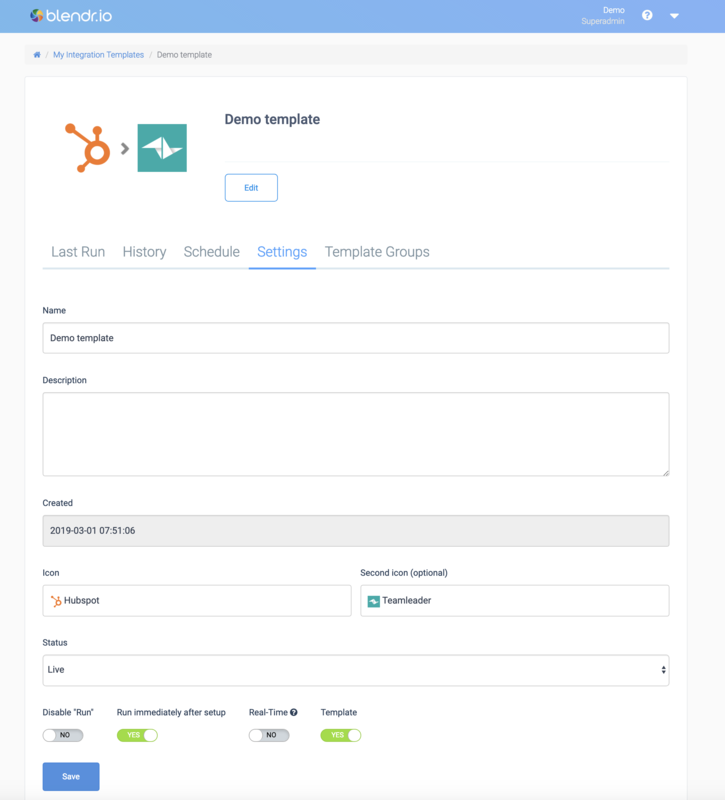 Saas partners can create integration templates, that are made available in their Hub or Market place, or that can be fully embedded in their own platform. A template is a Blend that has a setting "Is template". 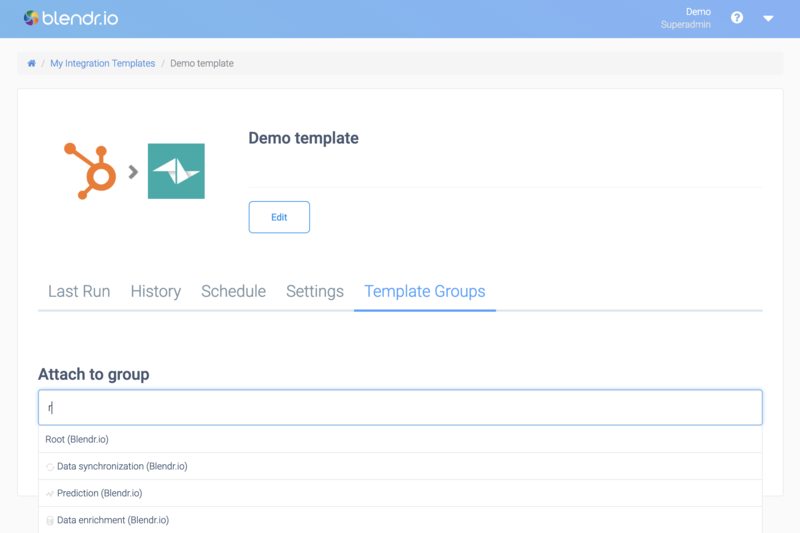 Once a Blend is turned into a template, it can be made available to customers of the SaaS partner. 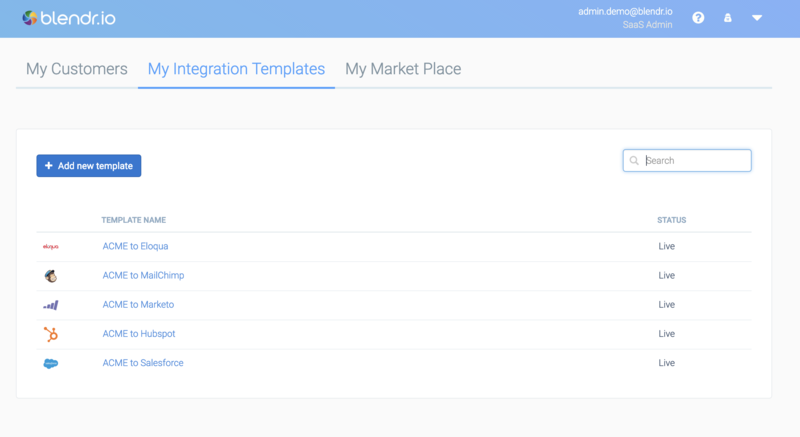 Towards the customer, the template is referred to as "an integration", for example the "ACME Salesforce integration". If you have never created an integration (a Blend) on Blendr.io, check “Getting started” video. 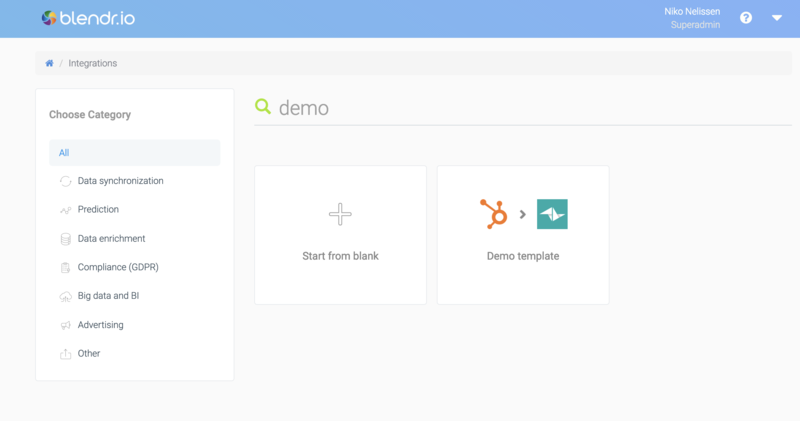 Please contact your Blendr.io account manager if you would like Blendr.io to create one or more integration templates for you. 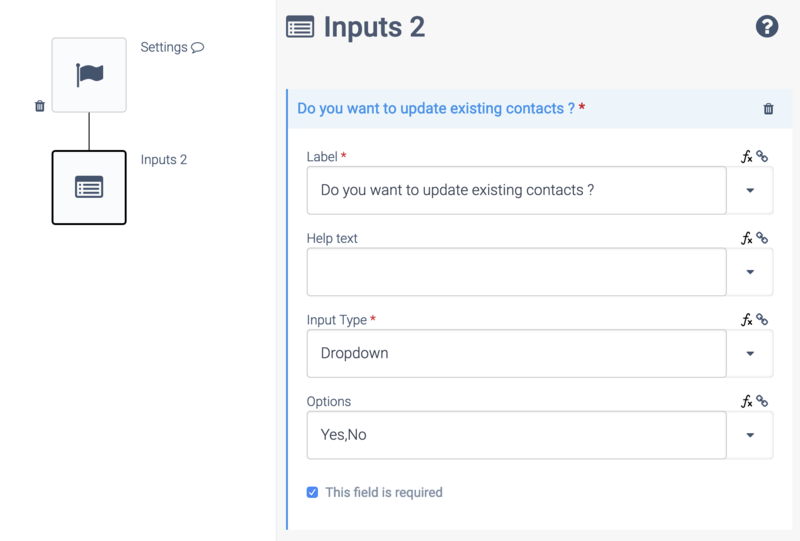 A customer will typically click on the button "Use integration", and this will create a copy of the template in the account of the customer. The copy is an actual Blend that will e.g. 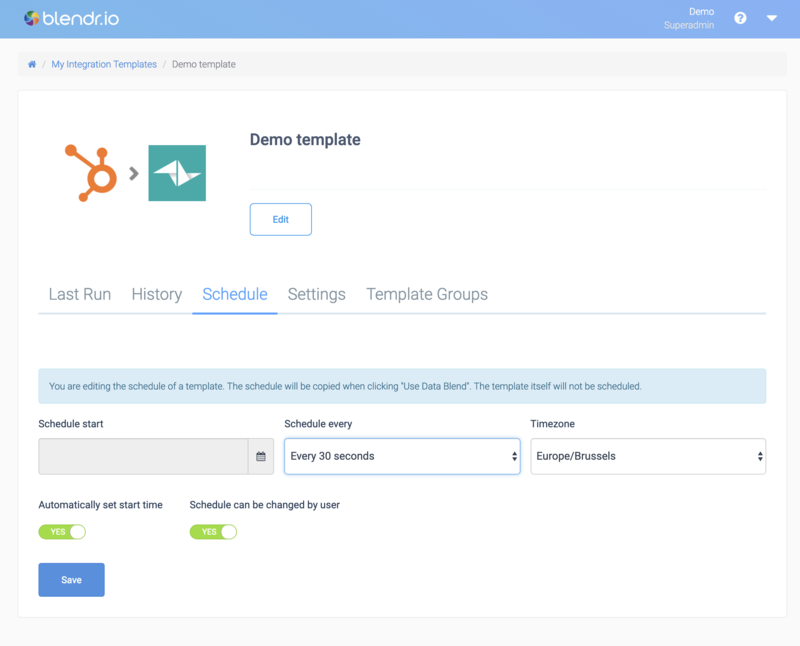 run automatically according to its schedule or that will be triggered by a Webhook. Template: should be set to "Yes"
Name: e.g. 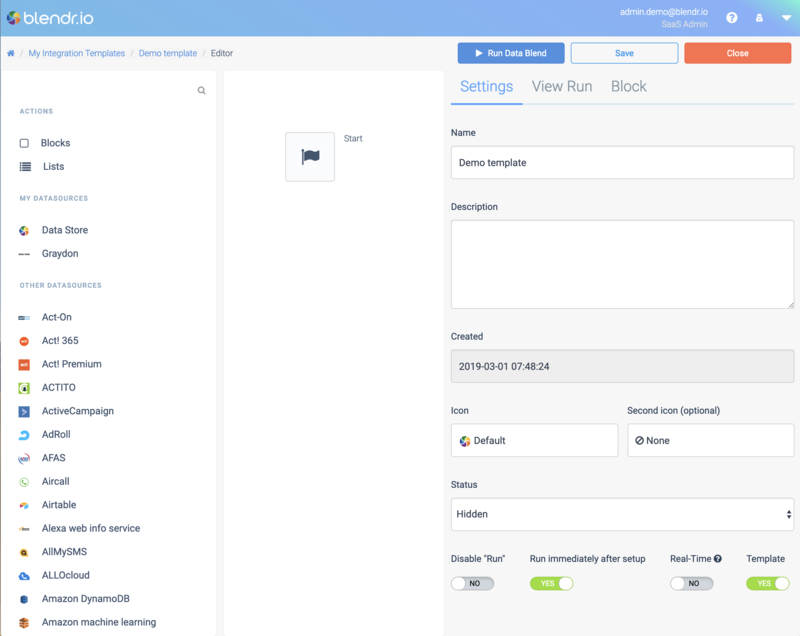 "ACME Salesforce integration"
Add a Setup block if you want to create a Setup flow. 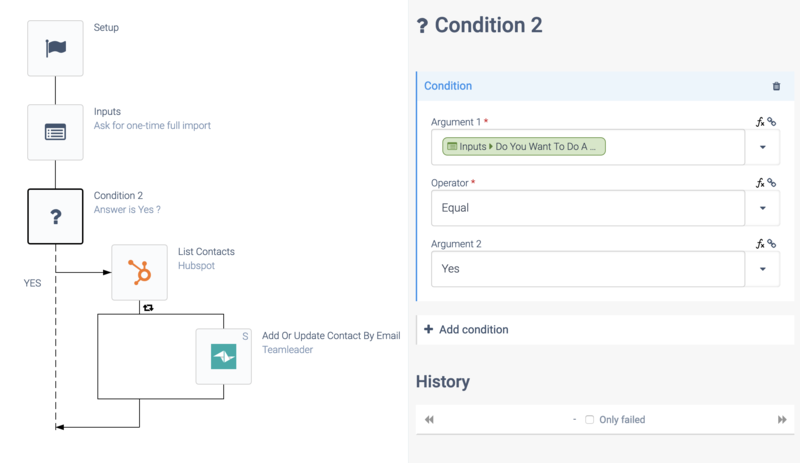 The Setup flow is a Setup Wizard that the customer will see after clicking the button "Use integration". The Setup flow is executed only once. If the customer wants to run the Setup again, she will have to delete the integration and add it again. 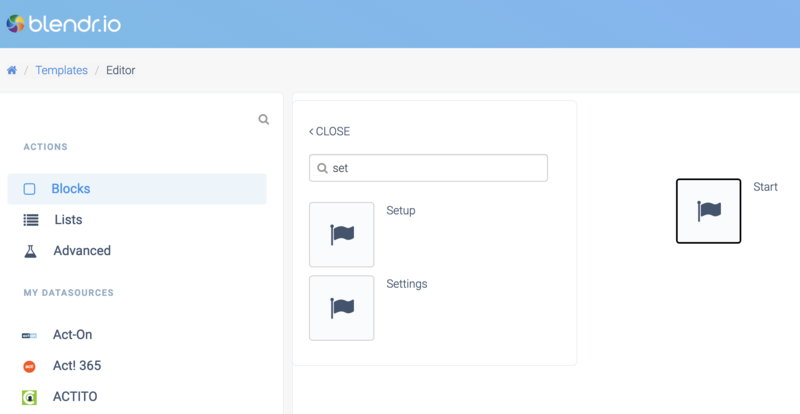 Add a Settings block if you want to create a Settings flow. 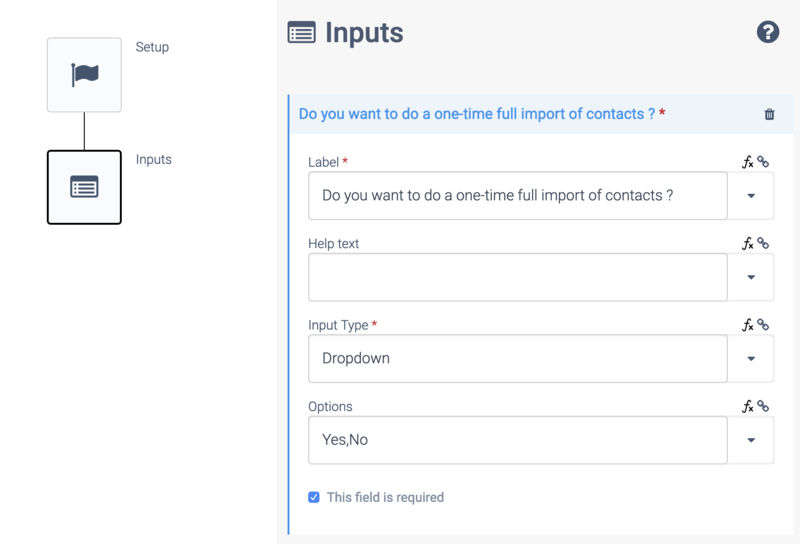 The Settings flow is a Settings Wizard that the customer will see, each time she clicks on the Settings button, on the detail page of the integration. The Settings flow can thus be executed multiple times. 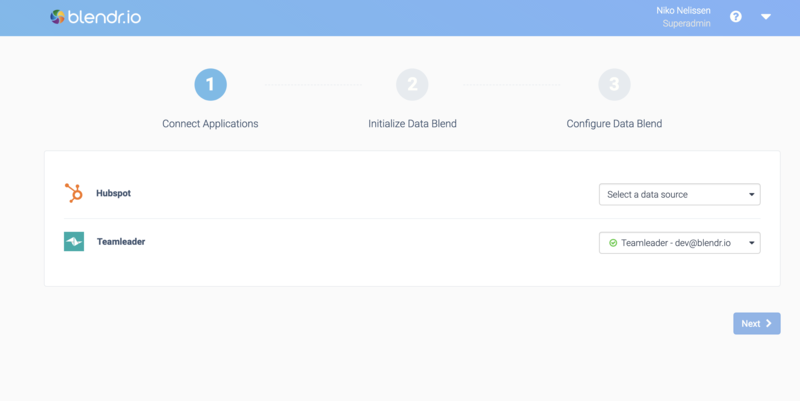 Please note that the Settings flow is also executed automatically after the Setup flow, so the Settings Wizard screens are displayed immediately after the Setup Wizard screens. Once this is done, the integration is live, and running according to its Schedule or triggered by Webhooks. The user can click on "Settings" at any point in time to change the Settings of the integration. The user can disable the integration or delete it to fully remove it from its account.